Senor Mex says: I go to Guadalajara fairly often. It’s a great place to visit. The fact that it has free Wi-Fi everywhere is just icing on the cake. 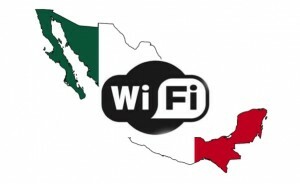 Unlike most of the world’s major cities, Guadalajara offers free Wi-Fi for everyone. You can go anywhere in the city and stay connected for free. More information is highlighted in this fascinating post. I’ve tried the free Wi-Fi myself, and I can confirm that it works well. If you travel a lot, you know how much some places charge for high-speed Internet access. Whether you plan to use a laptop, netbook, tablet, smartphone or other device, it’s nice to know that you won’t have to use your expensive data plan to do so. When paired with cheap Mexico auto insurance by Mexican Insurance Store.com, the free Wi-Fi is a major plus. Just remember you really need the Mexico auto insurance. “Available 24 hours a day in over 125 parks and public places, the “GDL Libre” municipal wireless network can be accessed for free by anyone with a laptop, tablet or smartphone. Do you buy inexpensive Mexico Auto Insurance online when you drive to Guadalajara? Hit the road and start your trip to Baja. Baja is indeed a favourite destination of foreign travellers. There are exotic foods and items not found in other place, except Baja. Previous post: Make a Travel Checklist Which Includes a Mexican auto insurance policy before Packing for Mexico! Next post: Scout Around for Great Souvenirs with Mexican Insurance!